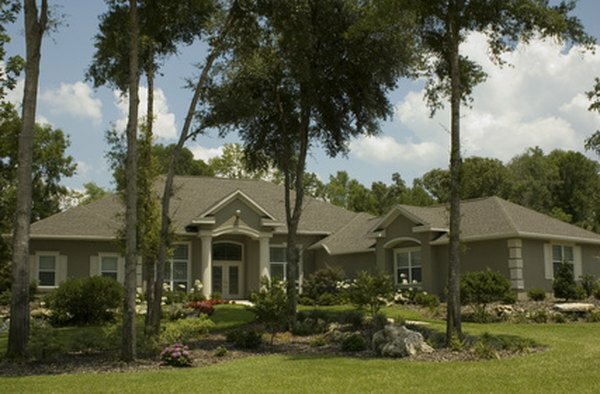 Homeowner's insurance policies protect your home's assets. 2. Can You Write Off Home Insurance? Insurance agents often encourage homeowners to purchase enough homeowner’s insurance to cover the replacement value of their home. As a precaution, many homeowners hire a professional home inspector to estimate the value of their home and identify any potential problems prior to purchasing homeowner’s policies. Additionally, most insurance companies require a home inspection during the application process. Most homeowner’s insurance policies provide replacement or repair coverage for your home and other structures attached to the property. If damages to your home require you make other living arrangements while your home is being repaired, some homeowner’s policies will pay for temporary living expenses during this time frame. Some policies provide coverage for personal property situated in your home. In regards to coverage for buildings and personal property, the insurance company may pay for the actual cash value or replacement costs of damaged property. Many policies include liability coverage in the event you become personally liable for the result of accidents or injuries caused to others on your property. Each insurance company maintains its own underwriting guidelines to help determine the risks associated with insuring a home. These factors are also used to determine if the company will accept or decline a homeowner’s insurance application. When high-risk factors are present in regards to a specific home, rather than declining the application, the insurance company may require higher deductible amounts for the policy. Each insurance company has different guidelines regarding the details of the home inspection. Some insurance companies will require you to provide pictures of the home showing the existence of the home, current address and other structures connected to the home. However, many insurance companies will hire a home inspector to provide them with an inspection report of the home when you apply for insurance as well as file claims. The home inspection helps the underwriters assess the risks of insuring the home, which ultimately is a factor in determining the deductible and premium amounts. Insurance companies may charge different premium amounts based on the condition of your home. However, they will consider several factors when determining the amount of your monthly premium. Insurance companies will take into consideration various aspects of your home and its contents to make an accurate estimate of the replacement value of the home. They will also consider your prior homeowner’s insurance claims, if applicable, in addition to your credit history. Ask for Insurance: What Do Insurance Company's House Inspections Involve? Can a Lien Holder of Real Property Obtain Homeowners Insurance? Who Gets an Insurance Claim Check: The Contractor or Homeowner?